Sweep accounts allow customers to maintain excess deposits in an interest-bearing account while sweeping monies to other deposit accounts as needed. This provides greater control and peace of mind. The customer has the ability to customize and designate a specific checking (base) account for all deposits while "sweeping" monies to other checking accounts on an as needed basis. The customer may designate the dollar balance to remain in the base account after all deposits are posted, incoming debit items are paid, and money is swept to other designated accounts. 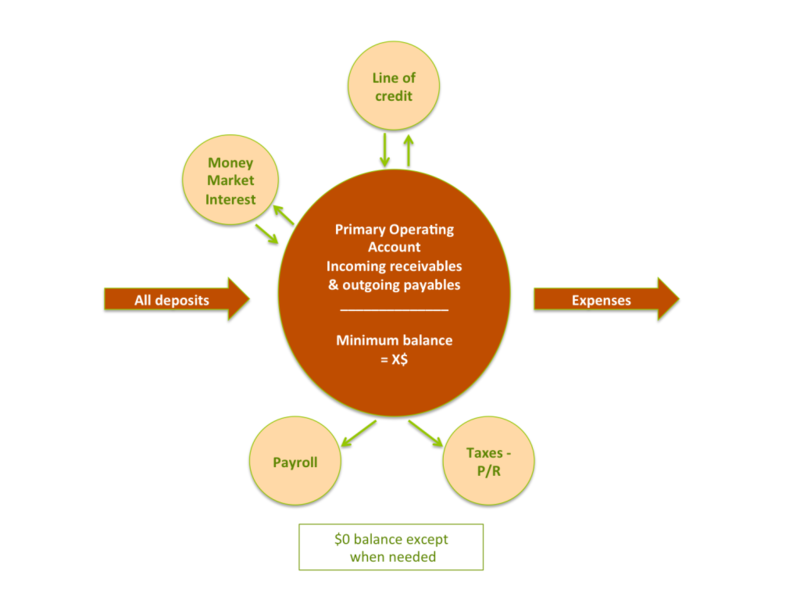 Remaining excess balance or deficit in the base account may then be swept to an interest-bearing account or from an interest-bearing account. The sweep may also be used to pay down outstanding lines of credit. If funds are not available in the base account to meet all needs, the sweep may then draw on available lines of credit.